Roses Musk by Montale is a Floral Woody Musk fragrance for women. Roses Musk was launched in 2009. The nose behind this fragrance is Pierre Montale. T..
J’Adore Hair Mist by Christian Dior is a Floral fragrance for women. J’Adore Hair Mist was launched in 2017. The fragrance features blood orange, nero.. The perfect, classical, silky fragrance of this perfume is composed of gorgeous jasmine, orange blossom, fresh green note of lilac and sweet rose. Ald..
Chanel is launching men's fragrance Chanel Allure Homme Sport Eau Extreme and adds it to the well-known collection Allure Homme. The first perfume of ..
Chanel is presenting a new flanker of their popular fragrance Chance which arrives on the market on April 2nd 2010. The romantic and pink new version,.. The Chanel No 5 Eau de Parfum was created by Jacques Polges in 1986 as another interpretation of the iconic original fragrance introduced by Coco Chan.. Chance in French means 'luck'. Chanel and Chance sound so similar as if they were created for each other. 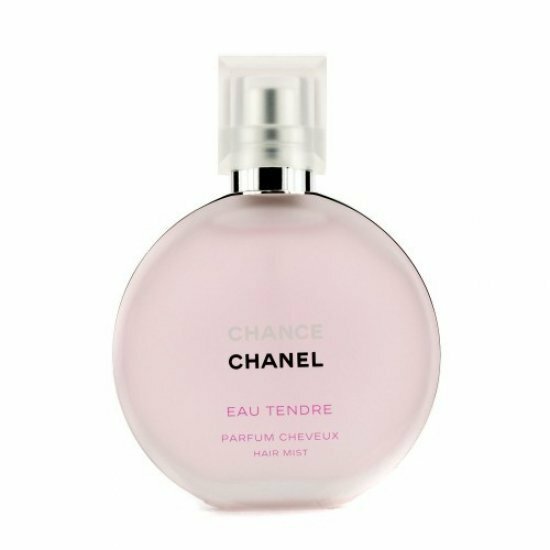 Chance is the only Chanel perfume in round b..
Bleu de Chanel is a sophisticated and contemporary fragrance from Chanel that hit the market in 2010. Chanel introduces its enhanced version, Bleu de ..